Is NBA Title Path More Blurry Than Recent Years? For years, the Golden State Warriors have been the best team in the NBA and it has not even been close. The Warriors modern reign of supremacy, led by Stephen Curry, Klay Thompson and company, has left little room for parity in the Association. But is it possible that this year is just different? The addition of big man Demarcus Cousins, it seemed as if the Warriors were again going to have a clear path to the NBA Finals and most likely win the title yet again. No one knows what is going to transpire between now and the beginning of June, but the Warriors path may not be as clear as it first seemed this past offseason. One team that could put their foot down to stop the Warriors recent dominance is the team that beat them at Oracle Arena Saturday night. The Houston Rockets triumphed in a close game at Oracle, 118-112 on Saturday. Last year, the Rockets had a great chance to bump the Warriors out of the postseason and send them packing before they enjoyed another trip to the Finals. 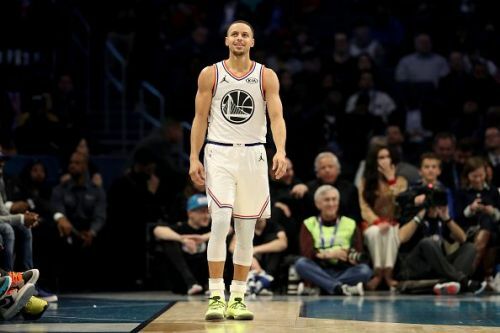 Those hopes became bleak whenever Guard Chris Paul found himself sitting with an injury and eventually the Warriors triumphed, as they typically do. What about this year? It is quite possible that a healthy Rockets team delivers the KO punch to Golden State and ends their Western Conference dominance. Another team that looks like they could accomplish that feat is the Oklahoma City Thunder. With Russell Westbrook dropping triple-double's nightly and Paul George scoring at will and doing it in an MVP manner, they could also give Golden State quite the run for their money. Westbrook is hungry to knock off former teammate and friend Kevin Durant after he left the Thunder for a 73-win Warriors team. I like the Thunder as another team that could end the reign of Golden State in the West and restore some parity to the Association. I'm not suggesting that the Warriors dominance is done or in any sort of jeopardy. When you are as good as they've been for as long as they have, your reign ends when you say it does. What the Warriors have accomplished in this modern NBA has been incredible. Even with what I have seen from Houston and Oklahoma City, I still am not sold on them to beat the Warriors and the "Dubs" should remain favorites. However, it would not come as a shock to see a new team representing the West in the 2019 Finals.